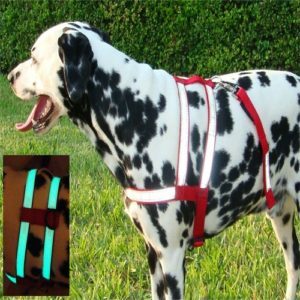 Its a collar and leash combined that features 3M Scotch-lite to reflect headlights and keep you and your pet safe in the dark. 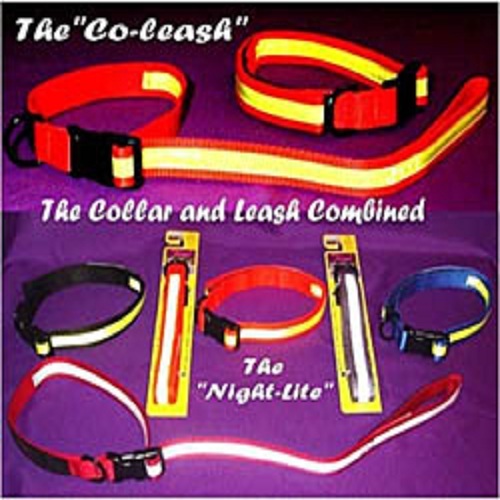 Keep your dog safe with the Co-leash “Nite-lite” Dog Collar. Made with 3M Scotch-lite, the most powerful light reflective material made today. Reflects light day or night and can be seen for long distances. 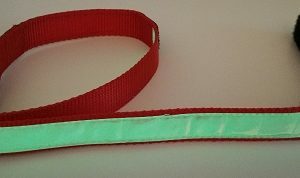 All Scotch-lite reflective strips look white when hit with headlights and is the same candle-watt as the fireman and police wear. 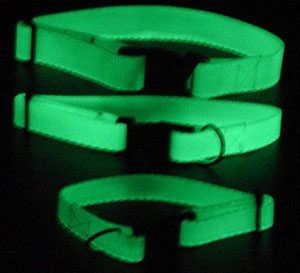 A flash light will also light this collar up making it easier to find your dog at night. 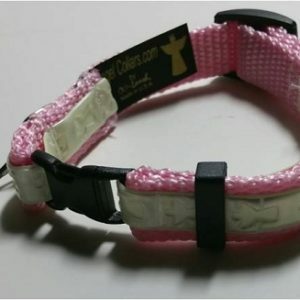 Avoid tripping on your pet, use a Nite-Lite Collar to prevent mishaps. The Co-leash adjusts a little larger if needed.